It’s finally summer, and you know what that means! Everyone is outside, enjoying that crisp, fresh air and taking in all the new blooms in their neighborhood. You walk out onto your front porch, take a deep breath and greet the day as you sip your first brew of the morning and that’s when you notice it. 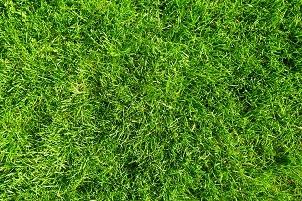 Your lawn, or lack thereof, is patchy and sad and looking more like a dirt lot sprinkled with tufts of greenish hair than the luscious lawn you wish it would be. You want that emerald green blanket that is sure to be the envy of all your neighbors but haven’t the faintest idea of where to begin. When should you lay turf and how do you make sure that it lasts? How should you water it, and is lawn food really necessary? If any of those questions struck a chord with you, read on to learn all about practicing best lawn care in Atlanta, and how to keep your lawn looking fresh and patch free year-round! If you’re ready to plant, go for it! There really isn’t a wrong time to get this process started. Bear in mind, however, that if you’re laying sod in the summer months, you will have to water the grass much more frequently, which deters conservation efforts and increases water bills. Typically, it’s best to lay turf during the spring and early autumn because of their temperate weather and occasional stints of rain. Spring: In the spring, your lawn is using up a lot of its energy, so you need to be sure that you are providing it with proper nourishment. To do so, invest in products that feed your turf while also protecting it from damaging weed growth. Summer: It’s hot, so your lawn is very thirsty this time of year, not to mention the damage done by all of the people running up and down on it! 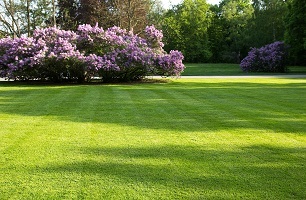 Look for lawn food that will defend your lawn from both heat and insect infestations to ensure strong growth. Fall: Your lawn is recovering from that intense summer heat and preparing for a cold, winter hibernation. It needs something that will encourage nitrogen storage. This helps keep your lawn green and beautiful.